Time has come to equip people communities around the world with digital and media literacy skills. In order make informed decisions, people need ability to access, analyze and engage in critical thinking about the daily messages they receive on a variety of issues such as health and politics. Today's “connected homes” provide people access to latest information and communication technologies. To become an effective participants in the information society of 21st century, people need not only acquire the multimedia skills but also the ability to use these skills effectively. One way this can be achieved is by including digital and media literacy in formal education. The objective of this chapter is to examine the media literacy programs working across the world to equip citizens to analyze and evaluate incoming information. In addition, the chapter provides some specific recommendations to bring digital and media literacy education into formal and informal settings. During 2009-2010, Ukrainian people saw an unusual set of bulletin boards in a collection of public places. “The person who uncovers that which was hidden–that’s a real journalist,” read one, against an image of a curtain being pulled back to reveal the word “truth.” Another, showing different colored pens writing different letters and numbers, declared that “True news means various views on a single event.” These billboards were a rare attempt to teach concepts of media literacy directly to a population at large, that is, anyone who happened to be passing by. The target was the practice of what Ukrainians call jeansa, or hidden advertising, in which a company or politician pays money to a media outlet to get a puff piece, presented as real journalism (Burgess, 2013). Many educators have been wary of the well-publicized hype about the unsubstantiated benefits of digital media in education because of their own real-life experience spending six hours a day with children and teens whose lives are more or less infused with cell phones, iPods and laptops. They know that simply using digital media tools is no educational panacea. A recent study of students in grades 5–8 showed that those from disadvantaged families got lower math and reading scores once the Internet arrived in the home (Knight Commission, 2012). Duke University analyzed test score of over 1500 US students to compare children’s reading and math scores before and after they acquired a home computer. They then compared those scores to those of kids who never acquired a home computer (Vigdor & Ladd, 2010). The test scores of low-income kids who got computers at home declined more than children who did not get computers. For middle-school students, social networking, YouTube videos and online games can be a potent distraction from homework and other activities. Even young people themselves are recognizing some limitations of life online. Some are concerned that screen interaction will replace face-to-face social relationships and others wonder if online civic acts are merely “token activism,” creating an illusion of civic engagement while actually distancing people from their causes. “Such nuanced stances reveal that teens and adults are engaged in thoughtful consideration of the civic potentials of online life” (Global Kids, The Good Play Project and Common Sense Media, 2009, p. 17). Whether we live in a democratic society or a one-party state, the ability to examine information and evaluate media messages is a vital skill set in our era. Media literacy can be defined as the skillful application of literacy skills to media and technology messages. There's a lot of stakeholders in the concept of digital literacy such as technology business, government at the state and local level in the world of education both in K-12 and in higher education as well as stakeholders in the activist community, the library community and creative community. Everyone seems to have a reason as to why all citizens in the around the world to be capable confident users and creators using a full range of digital media tools and technology. 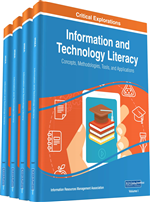 According to ALA Digital Literacy Task Force, digital literacy is the ability to use information and communication technologies to find, evaluate, create, and communicate information requiring both cognitive and technical skills. According to Chu, Lau, Chu, Lee, and Chan (2014), following are the essential competencies of digital and media literacy. Analyze and Evaluate: It refers to process of comprehending messages in which a user critically analyze the message quality, veracity, credibility, and point of view. It is done while considering potential effects or consequences of messages. Act: It refers to individual and collaborative work by a person to share knowledge and solve problems and participate in the community. The problems to be solved can be in the family, the workplace and the community, and participation in the community can be at local, regional, national and international levels.